In the more than sixty years since the advent of nuclear weapons, there has been little meaningful progress toward nuclear disarmament. Some countries have nuclear weapons, while other states are forbidden to acquire them, a status quo that lacks rational basis and cannot be sustained. 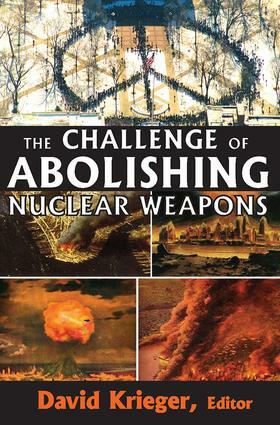 In this remarkable collection, scholars and policy analysts argue that humankind has a choice: either allow nuclear weapons to continue to proliferate throughout the world or move toward their complete elimination.The vast majority of people on the planet would surely opt to abolish nuclear weapons. But decisions about nuclear weapons are not made by the public, but by small groups of political elites. Consequently, in a world with nuclear weapons, the fate of humanity rests in the hands of a small number of individuals, whose perceptions, communications, and judgment determine whether there is to be a future.The contributors to this volume provide historical perspective on nuclear weapons policy; explore the role of international law in furthering the prospects of nuclear weapons abolition; consider the obstacles to abolition; present a path to achieving a nuclear weapons-free world; and look beyond abolition to consider issues of post-abolition sovereignty and general and complete disarmament. The goal of a nuclear weapons-free world can be awakened by an engaged citizenry bringing pressure from below in demanding action from political leaders. This book contributes to this awakening and engagement.